Solidarity clinics were set up by loose networks of doctors and volunteers who organized permanent health structures including pharmacies calling for people to donate medicines. Created from scratch, this broad network of clinics managed to respond effectively to the needs of thousands of uninsured people, both natives and migrants, while at the same time providing an alternative idea and practice of medical care, nonhierarchical, holistic and participatory. 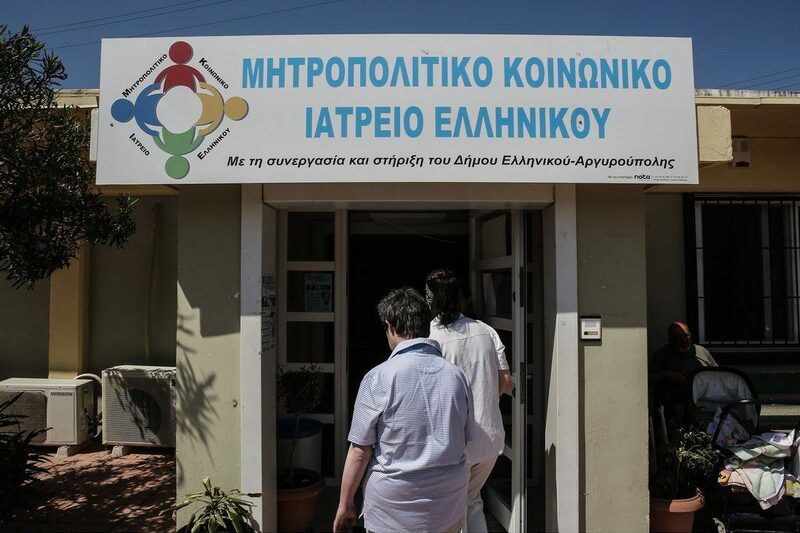 The Metropolitan Community Clinic at Helliniko, or MCCH in short, was created in 2011 and provides free primary medical care and medication to all uninsured, unemployed and patients in need regardless of who they are or where they come from. The goal of the clinic is to serve people, but its volunteers have no illusion that they can replace the Greek national health care system (nor do they wish to). The volunteers of the clonic now number more than 200 and include a growing number of doctors, dentists, pharmacists, therapists and support staff. We are treating an ever growing number of patients, at times more than 100 per day. Moreover, MCCH provides psychological support to the unemployed, as well as baby food and other basic baby needs, all free of charge. All medicine and various items are donations from fellow citizens with the urge to stand by those in need during the economic crisis that we are all going through [edited by OHG website here]. The creation of the Oral History Groups (OHG) was made possible due to the high level education of a large proportion of the population and the digital technology that facilitates the recording, dissemination and preservation of memory. It is not just experts, academics, but also ordinary people, amateur historians, who after training, can collect oral testimonies. The amateur (from the Greek ἐράω-ῶ =αγαπώ — i.e. I love) has the meaning of positive determination rather than sloppiness. The members of OHGs are trained to meet international standards so that their interviews can be included in future organized public records. The gathering of oral history is, for most of us, a charming journey to the lives of others that offers knowledge and experiences to the past, but also a reflection on their own lives and / or life itself. These may vary from one OHG to the other, addressing a neighborhood, a municipality or created as a collective effort of many OHGs targeting a wider community of people or issue. Their common goal – consciously or unconsciously – is to create an alternate narrative about the past, which is socially structured, alongside the new identities that are formed by the crisis.